Thinking about buying a new laptop for video editing? If you’re an Apple Mac user, you’re probably wondering what is the best Mac for video editing? If that’s you, then we have just the guide for you! We’ll cover Mac laptops here, as most videographer will need to edit on the move, so having something as portable as a laptop is key. Apple, as always, offer a lot of options and they have four different models of laptop: the MacBook, MacBook Air, MacBook Pro 13 inch and MacBook Pro 15-inch. With this versatile offering, it’s quite understandable that sometimes it’s difficult to make a decision about the laptop that will fully meet your needs. And in the guide below, we will try to briefly introduce you to the options and find an Mac editing laptop to your liking. So let’s take a look at the laptops that we consider the best mac laptops for video editing. The 12-inch MacBook is the perfect choice if portability is your primary consideration. This laptop model is extremely thin and light (only 900g) and is ideal for people who need an ultra-portable computer model. The size of a slightly larger book, in the same range, makes this one look small. The 12 inch MacBook has a distinctly sharp retina display, and the battery can last for 9 hours and 30 minutes. This laptop model was first introduced in April 2015 but was upgraded in June 2017 with a new version that still represents the symbol of the lightweight Mac laptop. The new version of this model features a much faster Kaby Lake processor with a newer model much faster. Also, the newer model has a more functional keypad that provides a better experience for longer typing. However, if data transfer and the ability to expand ar of prime importance, you should keep in mind that this laptop model has only one USB port for charging and transfer. The 12-inch MacBook can be found in gold, silver, space gray and rose gold and comes in two variants: MacBook, 12in, 1.2GHz, 256GB and MacBook, 12in, 1.3GHz, 512GB. And if you want to upgrade the processor to 1.4GHz, you can choose between 8GB or 16GB of RAM. MacBook Air is the most affordable laptop with the longest battery life, ideal for students and created for the road! 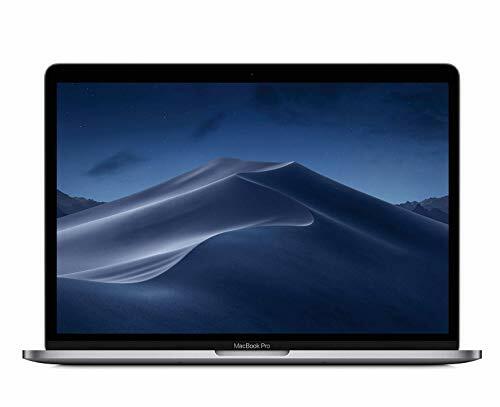 MacBook Air is a series of laptops that once counted a MacBook Air of 11 inches (which is now no longer produced for various reasons) and the 13-inch MacBook Air. The MacBook Air has the longest tested battery life (as much as 14 hours) and is also the cheapest MacBook laptop in the price range. Also, the MacBook Air comes with standard USB ports as well as an SD card slot making it very easy to transfer photos. This model, unlike the MacBook Pro, has a standard keyboard that makes it much more useful to some users. As the name itself suggests, this model is quite light (1.35 kg), with a 13-inch screen and comes with two configurations, but only in silver and with 8GB of RAM. MacBook Air, 13in, 1.8GHz, 128GB and MacBook Air, 13in, 1.8GHz, 256GB. If you are also programming, gaming or doing any kind of video animation, this laptop may not be the ideal solution for you. However, if you’re going to be using this for lightweight editing purposes, as well as the usual admin work required to grow your business, and you need an easy-to-use laptop, this option is ideal and perhaps the cheapest for you. If you are working between both home and another workspace, or doing a large amount of editing work whilst travelling, you could really benefit from the fast and functional 13-inch MacBook Pro laptop. The 13-inch MacBook Pro possesses a significantly stronger Core i5 processor and the latest Intel Iris graphics card, and still only weighs a slight 1.35kg. This model has a high-quality display and powerful speakers, as well as two Thunderbolt 3 inputs for the fastest possible data transfer. You also have the ability to expand with additional graphics cards or specialized hardware, as well as a new version of the butterfly keyboard. If you decide to purchase for MacBook Pro, it is important to point out that there are more options (with or without a new touch bar) affecting the price. The 13-inch MacBook Pro with Touch Bar provides all the contextually relevant keys and controls that you use in an average application. For example, if you open the Photos app, you will see options for editing photos, shortcuts in Final Cut and Adobe Photoshop, making it ideal for multitasking. Also, this version of the laptop offers two more Thunderbolt inputs as well as a faster 3.1 GHz processor. 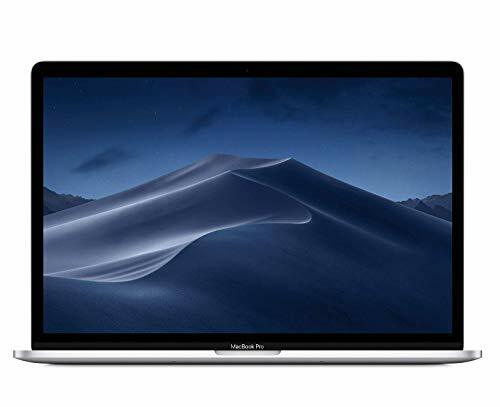 As well as a powerful solution for video editing, the 13-inch MacBook Pro is strong enough in design to handle most modern games with the Intel HD Graphics 640. But if you want the highest level of quality, perhaps the 15-inch MacBook Pro is the ideal solution for you. If you are a professional who needs a fast computer with a huge memory capacity and 15 inches of screen real estate, the MacBook Pro is the right solution. 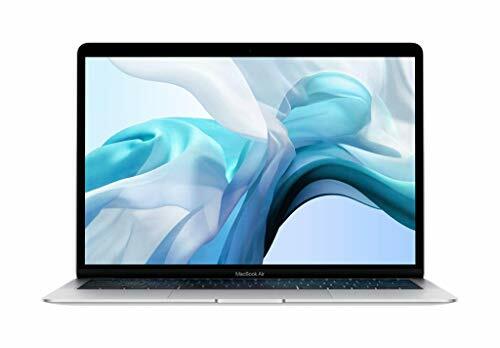 If you are editing RAW photos or dealing with video animation that includes 4k videos the AMD Radeon Pro 560 graphics ship contained in the 15-inch MacBook Pro is what you need. It also combines 16GB of RAM with a 256GB SSD drive for the speed you need when using more serious programs. Also, this model has the highest resolution Apple offers with 2800 × 1800 pixels and includes great trackpad as well as optimized stereo speakers. It’s also worth noting that the battery on this MacBook Pro can last around 11 hours, offering superior performance by laptop standards. For anyone who needs an enormous amount of storage space, this model is ideal because it has up to 2 terabytes of storage space! If you work extensively on your laptop, then this version is right for you. You also have the option to tether up an additional screen if you’re looking for more screen real estate. If you ‘re a video editor, graphic designer or photographer who requires a larger display and a more powerful model than the 13 inch version, then the 15-inch MacBook Pro is a good choice for you. Any MacBook, starting with Air 2010 is quite suitable for video editing. Another thing is that on a weak machine the work will proceed slowly, and the exporting of a 10-minute video will take several hours. Therefore, if you are an amateur and you’re not working with professional video (especially 4K format), then you can manage rather modest performance indicators. And if you’re a pro, then, of course, you need a machine that offers a lot more power. So, let’s analyze what technical indicators are important for effective work with video. First of all, I should clear up a simple fact: if you’re looking to work professionally with video, then a desktop solution will always be superior in power to a laptop option. As we’ve mentioned, though, the laptop offers portability and the option to easily edit on the road whilst travelling. Let’s talk about the amount of RAM.The process of editing relies largely on the amount of RAM your computer has. But, as already mentioned, the most time consuming process is the exporting of finished video footage. The second indicator is the speed of the internal drive. In other words, on a slow HDD drive of older models, you will struggle. In the best case, you need at least a standard SSD drive. Even better, a proprietary SSD. Its speed is several times higher than usual, both in recording and reading. The third important indicator is the possibility of a video card. New models of MacBook Pro have powerful discrete graphics cards, for example, Radeon Pro 555 with 2GB, or Radeon Pro 560 with 4GB of memory. This is enough to work effectively with video and graphics and the speed improvements are very noticeable. Finally, a rather important aspect is the quality of the screen image. Here, everything is unambiguous – screens with Retina technology give an excellent clear picture of high-resolution 4K. On such a display, you can well consider the intricacies of video, adjust exposure and colors. Best Mac For Video Editing – What conclusion can be drawn? So what do you think of those options? And how can we sum all of this information up as a neat conclusion? 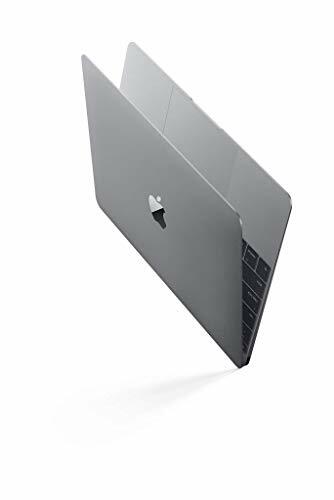 If you mount the video for yourself and do not expect any outstanding quality and speed indicators, then the MacBook Air, or the old MacBook Pro models are quite appropriate. If, however, you decided to seriously engage in professional video production, then you should choose a laptop with 16GB of RAM, a powerful video card, and a Retina screen. The MacBook Air is laptop that helps with productivity, coping with all the tasks that I require of it. It is suitable for web development, mobile application creation, website design, interfaces, as well, of course, as basic video editing. We hope that this article on the best Mac for video editing has helped you make the right choice and that you weigh up all your options before making a purchasing decision. It’s important to remember that it’s not worth waiting for a miracle from an integrated graphics card. If you are professionally engaged in video editing, especially 3D work and intensize animation, then I would strongly recommended you max out on RAM and get the most powerful laptop you can get with the budget you have.